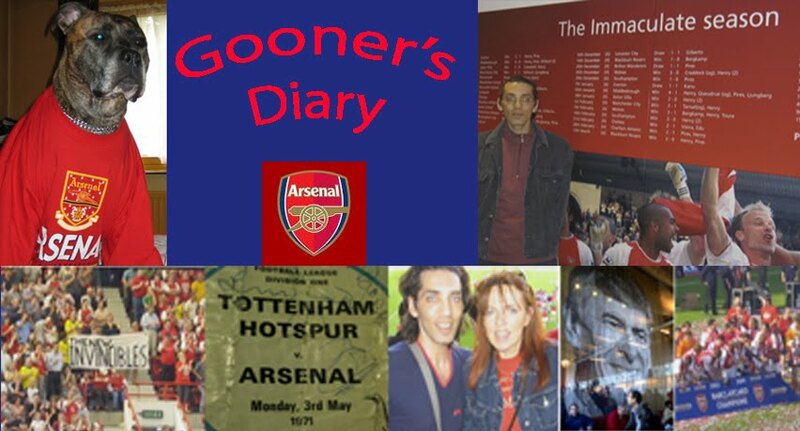 Gooner's Diary: Sound Economics My Arse! There were more than a few Gooners cursing the dispensation from the Moroccan FA that enabled Wenger to select Marouane Chamakh in the starting line-up on Monday night. We can’t wait to see the back of our lamentably ineffectual front-man. Nevertheless the FA Cup 3rd round came as welcome respite from the relentless anguish of a frustrating Premiership campaign and a much-needed distraction from the looming shadow of depression, cast by the prospect of kicking-off our game against Swansea at the Liberty Stadium on Sunday, potentially lagging a daunting 12 points behind the Lilywhites. Not to mention our delight in finally seeing Oxlade-Chamberlain earning a run out. Although despite the energetic youngster being hungrier and more eager to please than many of his more complacent colleagues, in truth it was very hard to see where a goal was going to come from for the first hour of this lacklustre affair, against a Leeds side whose ambitions were solely limited to smothering any threat. Still at least Chamakh’s inclusion and the resulting absence of goalmouth action, set the stage perfectly for Thierry Henry to appear off the bench on 68 minutes to a massive ovation and serve up a reminder only ten minutes later, to his team mates and the watching millions, of precisely how it should be done. Spielberg himself couldn’t have scripted it better, as Titi pounced on his first and solitary opportunity, by calmly curling the ball into the bottom-corner, with the sort of composure that had been sorely lacking up until that point. It was a beautiful and poignant moment, as the ghost of Xmas past popped up in the penalty area, with a much-needed moral boost for the Arsenal’s future (or at least as far as securing our place in the 4th round of the cup is concerned). Obviously Thierry’s brief eight-week sojourn at his spiritual home isn’t going to solve all our problems. With umpteen players out on season long loans and with Coquelin the latest to fall victim to the apparent curse on the Arsenal’s full-backs, Wenger was forced to scrape the bottom of our teenage barrel, with the diminutive Nico Yennaris coming on as our only remaining cover at right-back. At least with his handful of reserve team outings, I’d heard of Yennaris, which is more than can be said of our reserve keeper, Argentinian Damian Martinez. Like grim death, we Gooners continue to cling to the hope that if we can just keep ourselves in the frame, until such time as our squad begins to return to full-strength, we might yet surprise some of the pundits. But the longer we wait, the more injuries expose our gossamer thin squad, to the point where Wenger is left with no choice but to throw entirely untried ankle-biters into the fray. I’m not against this “sink or swim” method of testing a teenager’s mettle. To my mind, it makes for a far less unbalanced side than when Arsène tries to force square centre-back pegs, into round full-back holes. However, as we set out on what’s likely to be a nerve-wracking effort to reel our neighbours back in (with a Spurs squad that looks positively deep by comparison), it’s hard to be optimistic, knowing our fate might rest in the hands (or at the feet) of such inexperienced kids. In the knowledge that we can count on the likes of Rosicky and Benayoun for little more than 30-minute cameo contributions, it’s hard to witness our increasing tendency for sloppy, fatigue-ridden football, as a seemingly inevitable consequence of our unstinting dependency on midfield stalwarts such as Ramsey and Song. In spite of the fact that friends were struggling to give away spare Club Level seats, Monday’s attendance, or more accurately, ticket sales were reported at the customary 60k mark. Unless Arsène dips his toe into the transfer market to bolster our squad, it will be hard not to feel cheated because, as someone who was perfectly happy at our Highbury Home of Football, the new stadium was sold to me, on the basis that the additional revenue would afford us the financial clout to be able to compete in the transfer market. So while Thierry’s timely return to the fold managed to lift everyone’s spirits on Monday night, it’s also likely to add to burden of expectation resting on Henry’s broad shoulders. It hard to believe that the entire future of the Arsenal’s “sustainable business model” over the coming weeks, might be entirely dependent upon the contribution of our former hero and the continued strike-rate of Robin Van Persie. Sound economics my arse! Ha ha.... good point bro!